There’s a sense of fatalism that permeates every frame of Cory Asraf and John Swab’s neo-noir, Let Me Make You a Martyr. At it’s most basic, it’s a unshakable feeling that not many characters in the film will live to find that elusive happy ending they so desperately seek. (But do they deserve it? With the exception of one largely symbolic character, no one in the film can easily be described as virtuous.) However, as the final frame reveals itself, the fatalism is no longer so basic, becoming the most literal definition of the word. And what was once a seemingly-standard, Southern-fried revenge tale transforms into something much deeper, more resonant, and in it’s own unexpected way, curiously redemptive. 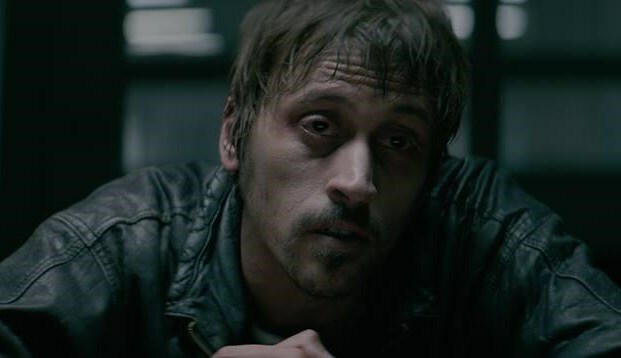 The film, which had it’s premiere June 22nd at Fantasia Fest, stars three alums of the popular biker drama Sons of Anarchy. There’s the physically imposing Mark Boone Junior as abusive father and all around shady character Larry Glass, Niko Nicotera as Glass’s adopted “prodigal son” Drew, and shock-rocker Marilyn Manson as Pope. We’ll get to him later. Rounding out the cast is Sam Quartin as Drew’s also adopted junkie-sister June. Drew is back home because he has some unfinished business to take care of: business which involves taking certain people out of the picture so that he and June could continue on with their lives, both together and free of the ghosts and demons that have dragged them down thus far. Life has dealt these two an unfair hand, and the only way they can possibly foresee a future in the black is by escaping somewhere far away and in the arms of each other. Then there’s Pope. Sensing something is amiss, Papa Glass sics the laconic, methodical hitman who lives in a Podunk shack in the middle of nowhere against his son. As Pope circles closer toward Drew, he leaves a trail of destruction and devastation in his wake. 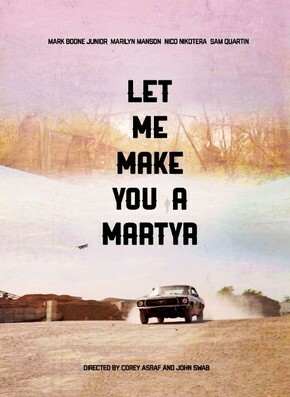 The narrative in Let Me Make You a Martyr is fractured. Most of the events are recounted by Drew in flashbacks of sorts, while he’s handcuffed to a table and forced to testify. What is a common trope in police procedurals (the unreliable narrator recounting the cause of events from his perspective after the fact) is flipped 180 degrees here. 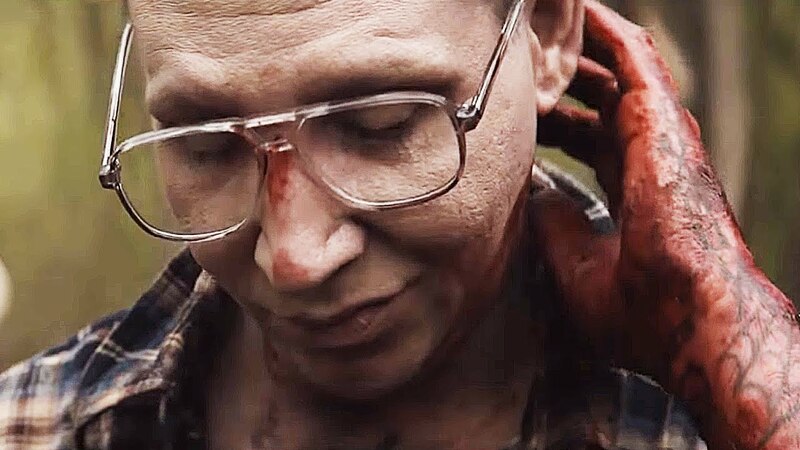 Manson is a revelation in the film (although his acting chops were already evident back in 2013 in Rubber director Quentin Dupieux’s Wrong Cops), not so much for what he does but for what he doesn’t do. He’s menacing, yes, but extremely subtle. Almost too subtle. The same can be said for the filmmaking choices employed by Asraf and Swab too. Much is not seen; only implied. (And though Pope and Drew don’t exchange a single word with one another, a scene of the two sitting in the same diner is terrifying in it’s quiet menace.) However, when the final credits begin to unspool, the viewer understands exactly why the film was presented as it was, and the cumulative weight of that discovery casts everything witnessed beforehand in a whole new light – almost begging for an immediate rewatch. Let Me Make You a Martyr is a slow burn genre film that rewards the patient. It’s also proof that in the right hands, a story that has seemingly been told many times before can, through a few unexpected detours, turn into something completely new and astonishing.